What does the word 'ocarina' mean? Who invented the first ocarina? Where are they made and who plays them? The answers to all these questions are laid before you in photos and easy-flowing text. Be amazed at the range of styles, shapes and intricate designs of these vessel flutes: from the simple hollowed-out and incised coconuts of Papua New Guinea to the exquisitely hand-painted porcelain 'Meissen' ocarinas with their metal tuning slides and keys. 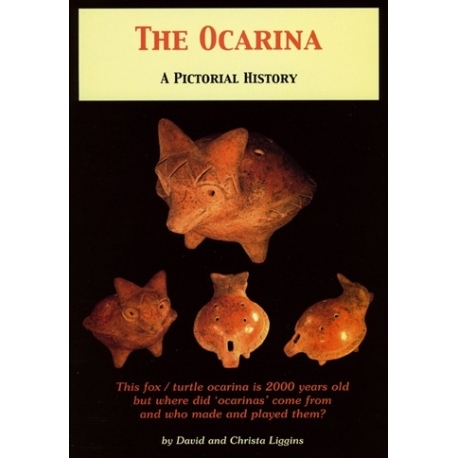 The Ocarina: A Pictorial History shows different ocarinas from all over the world, some dating back thousands of years. The lavish illustrations bring the ocarina's story to life. 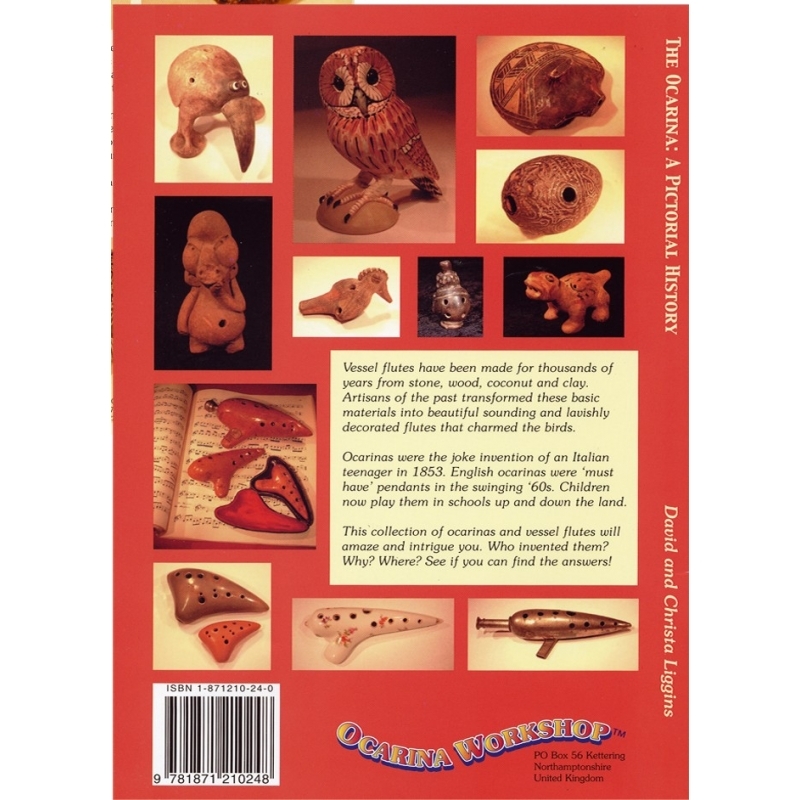 For over three decades, David and Christa Liggins have extensively researched the ocarina's history, collecting ocarinas and evidence. This is a presentation of some of their personal collection and also the anecdotes of ocarina-makers and players and their families. Enjoy! 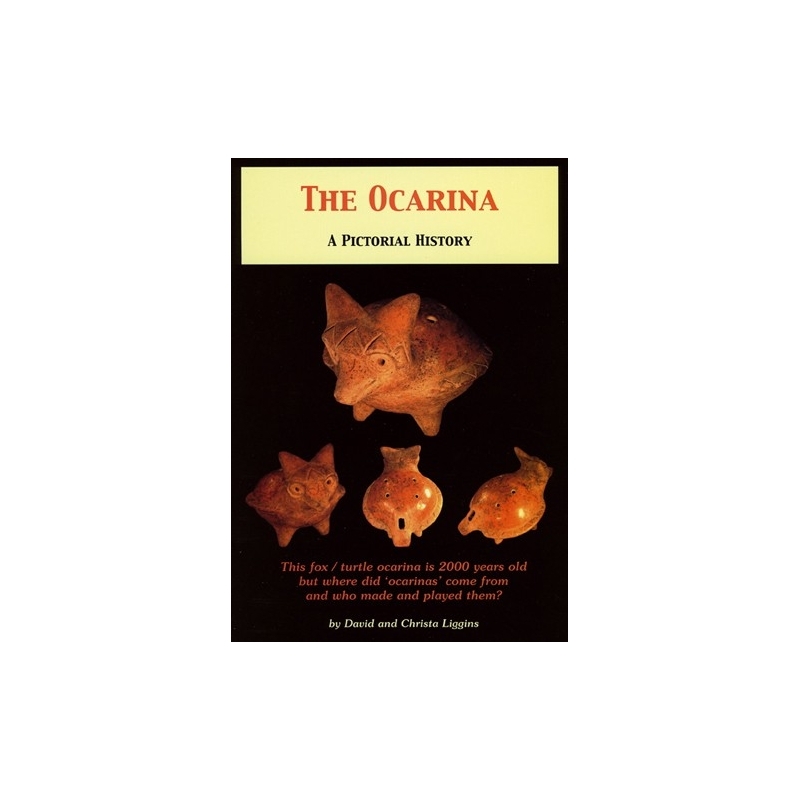 The Ocarina – A Pictorial History is a comprehensive guide to Ocarinas and Vessel flutes from 1000BC to present day computer game: Zelda Ocarina of Time. Suitable for all Junior age children and upwards and great for adults too!